StarUML v2.4.0 is now available for download. This release includes the following features and fixed issues. Finally Retina (High-DPI) Display is supported (Mac OS X and Windows only). Diagrams, texts and icons are razor sharp. You can also get diagrams as the high-dpi bitmap images (PNG and JPEG). Now QuickEdit is extended with many shorthands used for creating elements quickly. 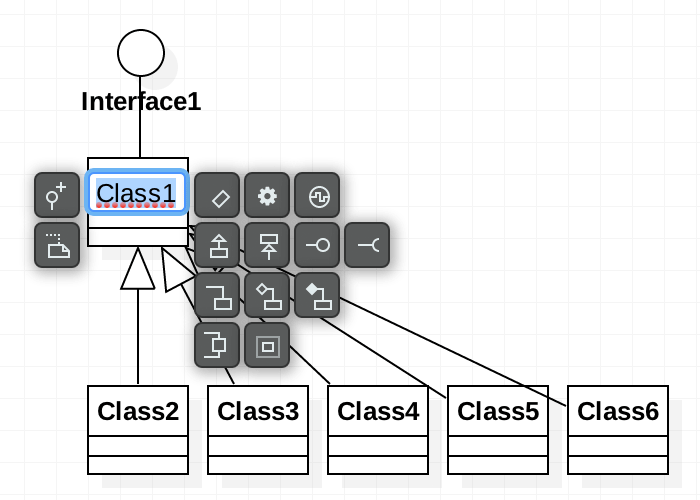 When you want to create a sub-class, for example, you have to create a class and then create a generalization by connecting the two class. Now, you can do this by just clicking “Add Sub-class” button in QuickEdit at once. This feature allows you to build a model very fast. 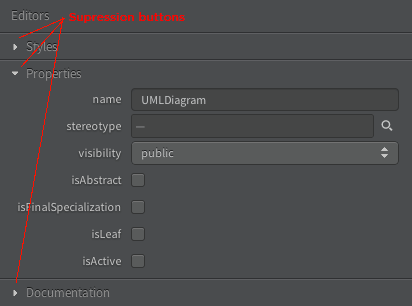 Now you can suppress each editor such as Style Editor, Property Editor and Documentation Editor. 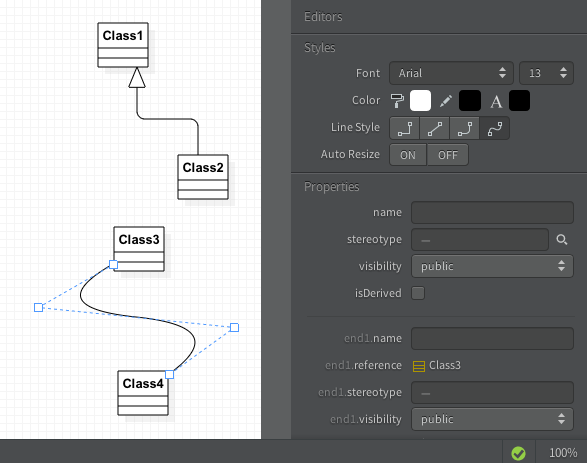 StyleEditor now provides most of functionalities for formatting and alignment. Three menus for sizing selected elements are appended in [Format > Alignment] menu and Style Editor. “Set Width Equally” sets widths of selected elements equally and “Set Height Equally” sets heights of selected elements equally. “Set Size Equally” sets the both widths and heights of selected elements equally. 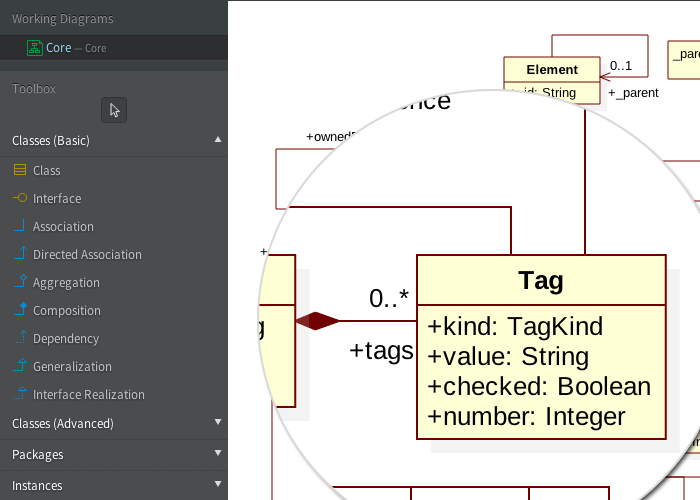 Now you can create Receptions in Classifiers and Internal Transitions in Composite States. For more information about Receptions and Internal Transitions, please refer to UML Specification. StarUML v2.2.0 is now available for download. This release includes the following features and fixed issues. 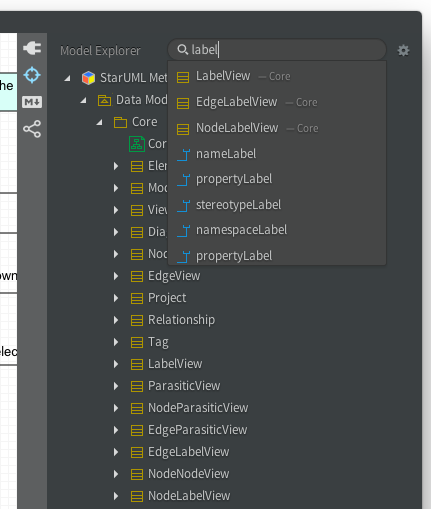 Now you can find an element quickly using Quick Search in Model Explorer. Just type any keyword in the Quick Search input widget placed on the top of Model Explorer. Quick Search quickly suggests elements matched with the keyword. Quick Search is also supported in Element Picker Dialog. It allows you select an element very easy and fast. 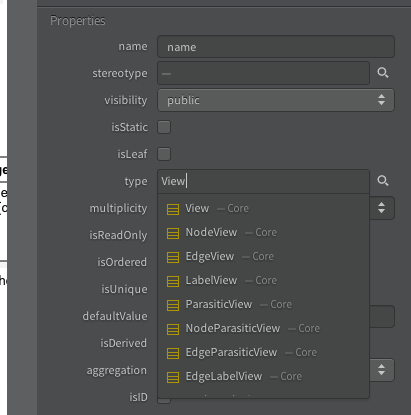 When you can just enter a part of name of types or stereotypes in Property Editor, now StarUML automatically suggests matched candidate types or stereotypes. This feature will dramatically reduce the time to find the element in Element Picker or enter the full name. 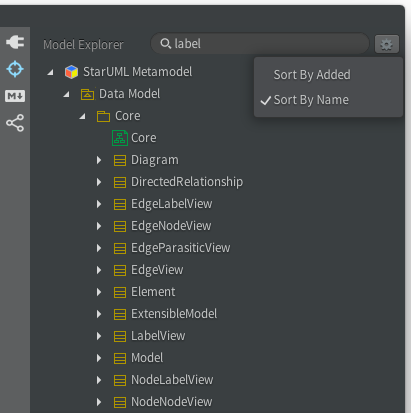 Now elements can be sorted by name in alphabetical order in Model Explorer. To change the sort kind, click the configure button on the top right corner. StarUML v2.1.3 (Hotfix) is now available for download. This release includes the some fixed issues. The detailed resolved issues can be found at Release Note. StarUML v2.1.2 (Hotfix) is now available for download. This release includes the some fixed issues. The detailed resolved issues can be found at Release Note. StarUML v2.1.1 is now available for download. This release includes the following features and fixed issues. Now you can use alignment tools directly in the Style Editor such as Send to Back, Bring to Front, Align Left/Center/Right and Align Top/Middle/Bottom. Chevrons (“<” and “>”) are treated an error for type expression such as “List<Integer>”. Now you can use chevrons for type expression in type of attributes, parameters and return types. StarUML v2.1.0 is now available for download. This release includes the following features and fixed issues. 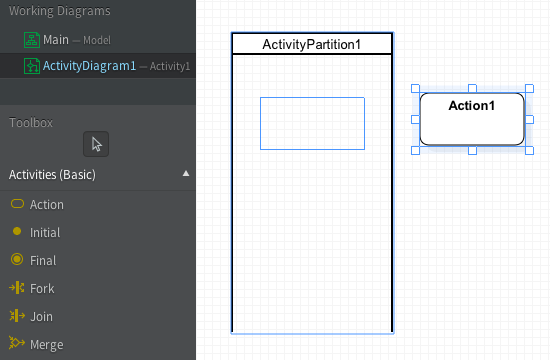 Now you can create Entity-Relationship Diagrams (ERD). 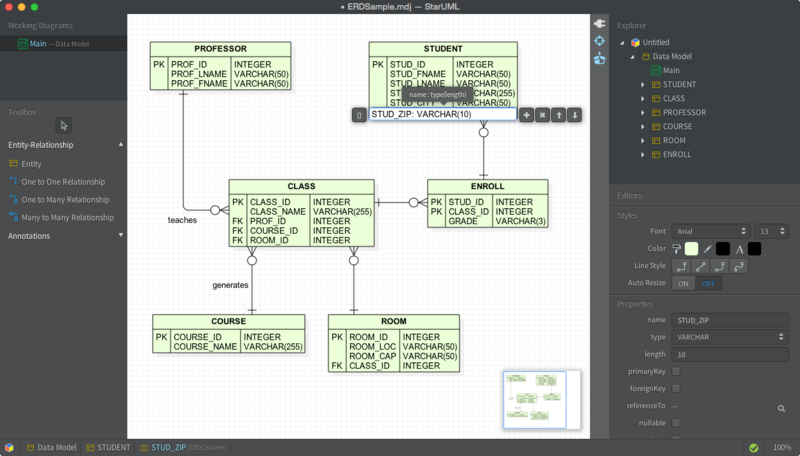 ERD is one of the most frequently used diagram for database modeling. Our ERD is based on crow’s foot notation which is much easier and readable than Chan’s notation. To create ERD, select [Add Diagram > ER Diagram] menu. New rounded rectilinear and curve line styles are now available in addition to rectilinear and oblique. 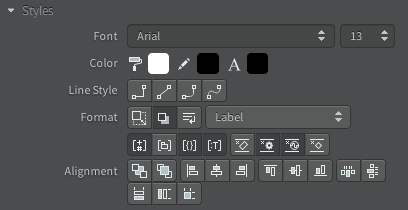 You can change the line style by clicking a corresponding button in StyleEditor, or select [Format > Line Style > Rounded Rectilinear | Curve] menu. StarUML v2.0.2 is now available for download. This release includes the following features and fixed issues. 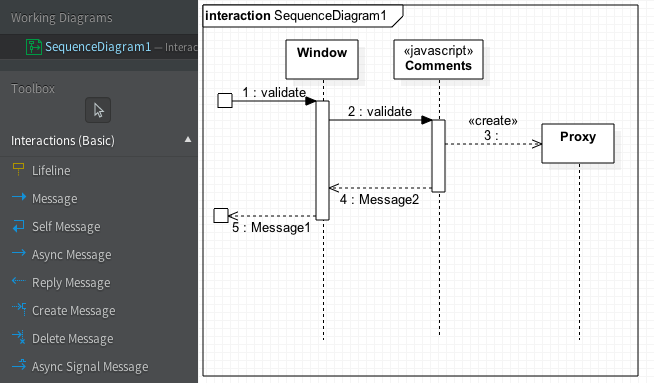 Sequence diagram is enhanced in many points. Now Lifelines are automatically aligned to the top of the diagram area and height of Lifeline is automatically expanded. All message kinds are added to the Toolbox, so you can create messages at once. Additionally, A create message is automatically attached to head box of Lifeline. 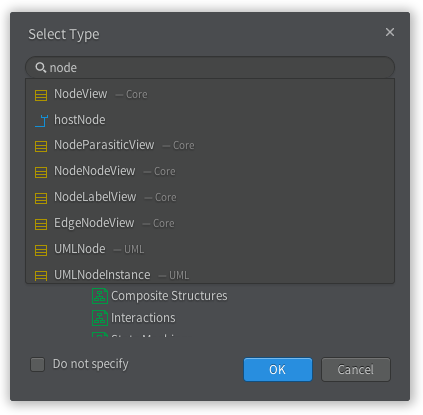 Now Activity nodes can be contained in a Swimlane (Activity Partition), and allow to drag InputPins and OutputPins from Explorer and drop on Diagram. StarUML v2.0.1 is now available for download. This release includes the following features and fixed issues. 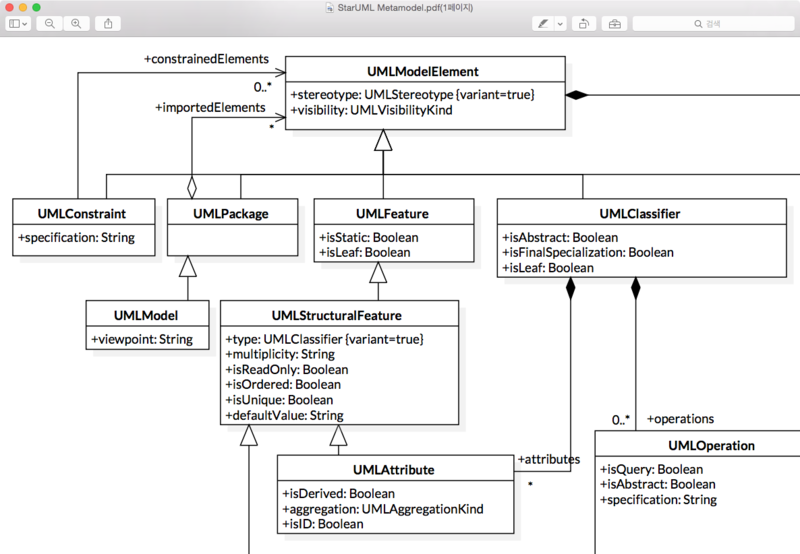 We replaced all gray UML icons by colorful icons to make easier to recognize the kinds of elements. Diagrams are green, elements are yellow and relationships are blue. 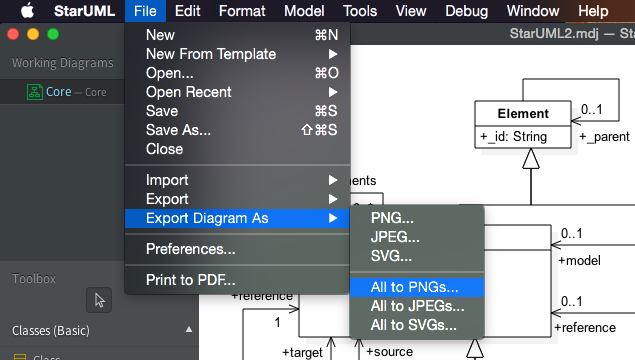 Now you can export all diagrams to image files (PNG, JPEG, SVG) at once by selecting [File > Export Diagram As > All to PNGs… | All to JPEGs… | All to SVGs…].